I was studying for the Certified Fund Raising Executive (CFRE) credential a few years ago and was struggling to get the volunteer and education hours required for the application. I had been fundraising for many years and had started to back off on attending education sessions. Plus my work (and nieces and nephews) had taken all of my “volunteer” time. As I filled out my CFRE application it became clear to me that I was in a rut, working for my organization, but not my field. I was an active participant in the AFP DC Law and Justice Affinity Group at the time so I reached out to a few of my colleagues from that group to ask how I could get more involved. I was and continue to be surprised by all of the wonderful volunteer opportunities right here in our chapter. 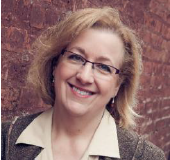 I started as a volunteer on the education committee, and later joined the board, served as co-chair of National Capital Philanthropy Day 2015 and this year I am vice president of education for the chapter. I share my journey because I’ve gone from not using the many benefits the chapter offers to being fully engaged in just a few years. Now I’m putting my time – and money – right here in my community, working to improve the field I’ve spent my career promoting. Are you good at the art of the ask? 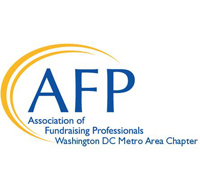 AFP DC could use your talents to secure sponsorships for the Bridge Conference and National Capital Philanthropy Day, two of the chapter’s signature events. Are you social media savvy? We need volunteers to get the word out about our education programs by tweeting from the sessions. And we need you to teach others how to do it. If marketing and communications are your forte, then consider volunteering to refresh the chapter website, develop promotional copy for e-blasts or write articles for the newsletter. If you’re an event person, there is great demand for your expertise. This year we’ve got 38 education sessions to pull off, plus the Bridge Conference and National Capital Philanthropy Day. Are you a whiz with numbers? We could certainly use this skill set on the Finance Committee. If you’re more of a data geek, we’d love to have your help with data analysis for the chapter. These are just a handful of ways you can get involved as an AFP DC volunteer. Click here to learn more.